100 cos take part in pharma trade show. More than 100 companies from analytical, contracting, biotechnology and quality control sectors participated in PharmaLytica 2015, the the two-day pharma trade show and conference which got underway here on Wednesday. 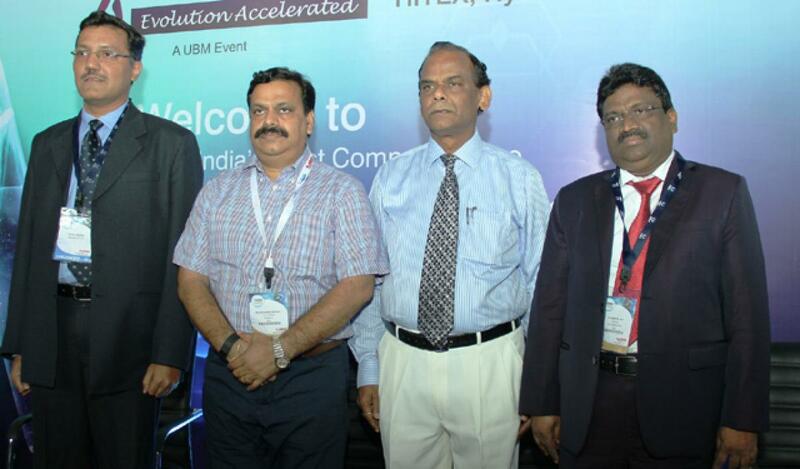 Hyderabad: More than 100 companies from analytical, contracting, biotechnology and quality control sectors participated in PharmaLytica 2015, the the two-day pharma trade show and conference which got underway here on Wednesday. Besides, experts from various sectors spoke at the conference on topics like latest methods of analytical techniques. “Analytical and outsourcing services in India are set for a huge augmentation owing to quality, research, regulatory and environmental compliances. Consequently, the need of the hour for Indian pharma industry players is to optimise the potential of today’s landscape with better product and service offerings,” said Yogesh Mudras, acting Managing Director, UBM India. Therefore, the second edition of PharmaLytica is dedicated to analytical, outsourcing, laboratory, scientific and biotechnology sector, he added. Meanwhile, Dr P V Appaji, Director General, Pharmexcil, who also took part in the inaugural session of the event, said that efforts were underway to tap opportunities in Japan’s pharmaceutical space.“Nearly 30 companies from Japan are evincing interest in setting up joint venture projects in India,” he explained.